Shortcakes are typically made with a buttery biscuit or scone that is laden with fruit , ice cream, whipped cream or other fillings to create a fun summertime dessert that really showcases the best and ripest fruit of the season. Strawberry shortcakes are the most classic iteration of a shortcake, but there are all kinds of different variations out there to try. You can dress up strawberry shortcakes using different flavors of biscuit or cream filling, and you can change the flavor of a shortcake completely by using different fruits! 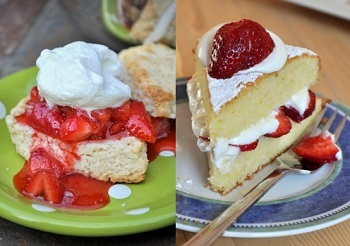 You really can’t go wrong with a shortcake, but here are a few great ideas to get you started. Blackberry shortcakes are definitely a departure from most traditional shortcakes. These Blackberry Shortcakes with Yogurt Whipped Cream have a dramatic look thanks to the deep purple berries inside, and they have a lighter feel to them because the whipped cream inside is cut with greek-style yogurt (I use low fat or nonfat), making them much lower in fat. Tropical Guava Strawberry Shortcakes are a twist on classic strawberry shortcake. The strawberry filling is spiked with some guava jelly, which makes it sweeter and even more fragrant. The shortcakes have shredded coconut in them, too! It’s almost like taking a little vacation in your own back yard. Olive Oil Strawberry Shortcake is a bit different from these other shortcakes because it uses a moist layer cake instead of a biscuit for the base. The olive oil cake is tender and fruity, and is a wonderful background for any fruit. The advantage to making a layered strawberry shortcake is that you get points for drama, as well as flavor, when serving it to friends and family! 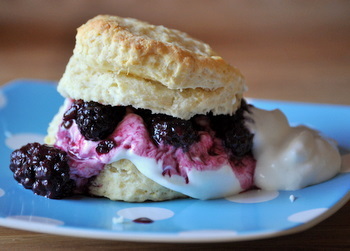 Shortcakes don’t have to be limited to berries, either. Grilled Peach Shortcakes with Candied Ginger are made with ripe peaches that are grilled for just a few minutes until they are incredibly tender and sweet before being piled onto a shortcake. The shortcakes themselves have bits of candied ginger in them that go nicely with the sweet peaches. 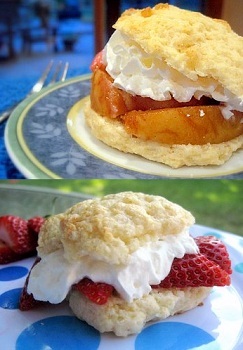 Many other fruits can be grilled, and just about all of them can be stuffed into a shortcake. Finally, a simple Buttermilk Strawberry Shortcake is always worth making. 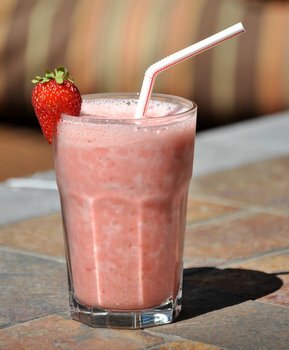 It is a classic and undeniably a good way to eat fresh summer strawberries. If you only make one shortcake recipe, it should probably be this. And even if you try every variation out there, this is the type of recipe that you’ll always come back to. That blackberry shortcake has me swooning with delight. I love that photo of the berry goodness oozing into the cream. Delicious for the eyes and the tummy! I went out to eat the other night and had some amazing strawberry shortcake. It’s put a craving for it in my head. 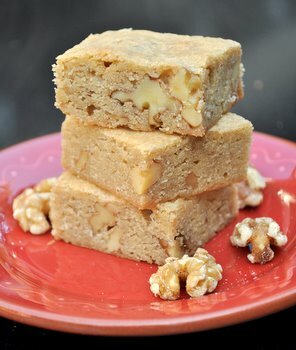 I need to try out one of these recipes to try and duplicate it at home! !